Caledonian Football Club (Caledonian F.C.) was a football club from the city of Inverness, Highland, Scotland. It played in the Highland Football League until 1994, when it merged with Inverness Thistle to form a new club, Inverness Caledonian Thistle. They were founder members of the Highland Football League in 1893 and wore strips of blue shirts, white shorts and blue socks. Their home ground was Telford Street Park, located beside the Caledonian Canal, and they were known by the nickname Caley. United played 6 games against them between 1912 and 1952. 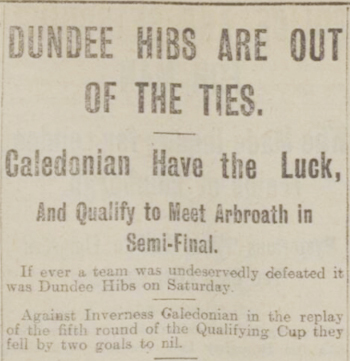 The first being a 1-1 draw in the Qualifying Cup in 1912. 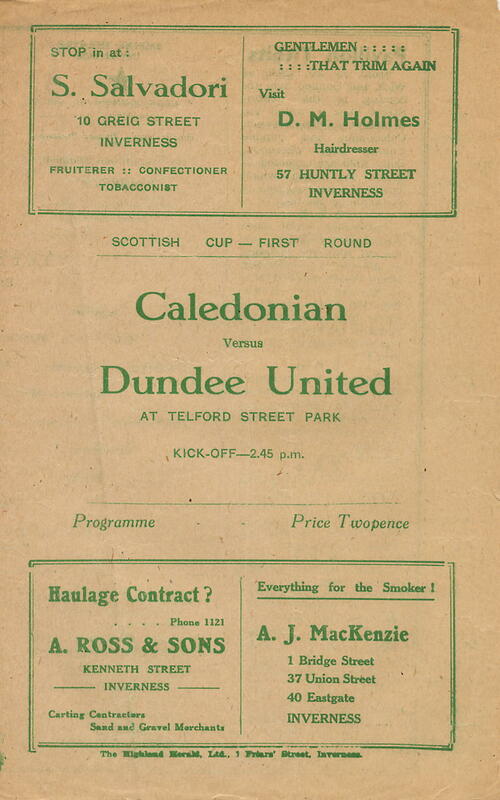 The final game was a Scottish Cup replay in 1952 with United winning 4-0 at Tannadice.